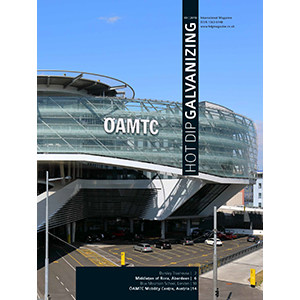 When the reaction between iron and zinc has virtually ceased and the article is taken out of the galvanizing bath complete with its outer coating of free zinc, the process is complete. In reality there is no demarcation between steel and zinc but a gradual transition through the series of alloy layers which provide the metallurgical bond. 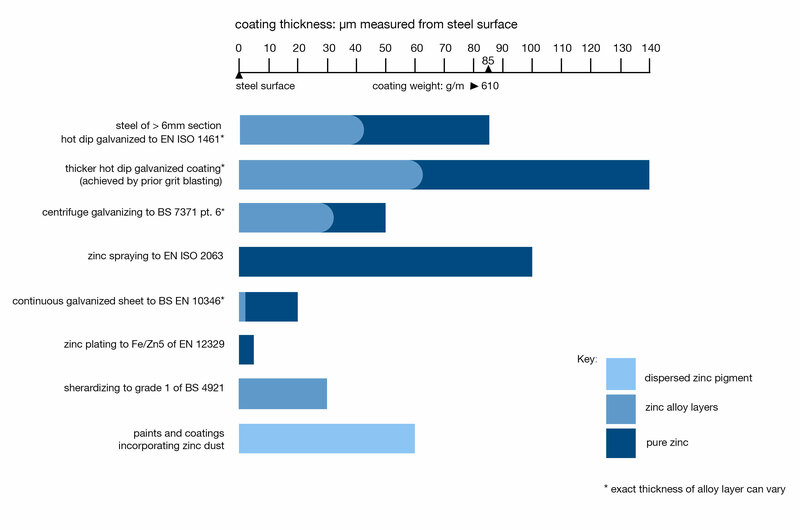 Coating thicknesses are normally determined by the steel thickness and are set out in EN ISO 1461. There are three exceptions to this rule, the first produces a slightly thinner coating, the other two increase it. This process, covered in EN ISO 1461, is used for galvanizing threaded components and other small parts. The parts, after preparation, are dipped in the molten zinc in a perforated basket. After the coating has formed this is centrifuged or spun at high speed, to throw off surplus zinc to ensure a clean profile. Minimum average coating weights for centrifuged work are identified in EN ISO 1461 and in 7371 Part 6. 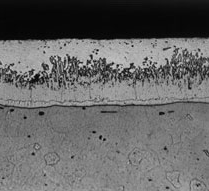 This is the most common method of achieving thicker coatings. Grit blasting to Sa 2½ (ISO 7079) the steel surface prior to immersion, using chilled angular iron grit of size G24, roughens and increases the surface area of steel in contact with the molten zinc. This generally increases the weight per unit area of a hot dip galvanized coating by up to 50%. Any steel article can be treated in this way, providing it is thick enough to withstand blasting. It may not be possible to grit blast the inside surface of hollow sections and fabrications, but these are almost always the areas least prone to corrosion. 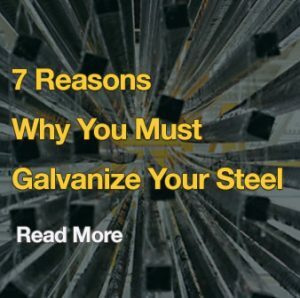 Thicker coatings than those required by EN ISO 1461 should only be specified following consultation with the galvanizer or Galvanizers Association. 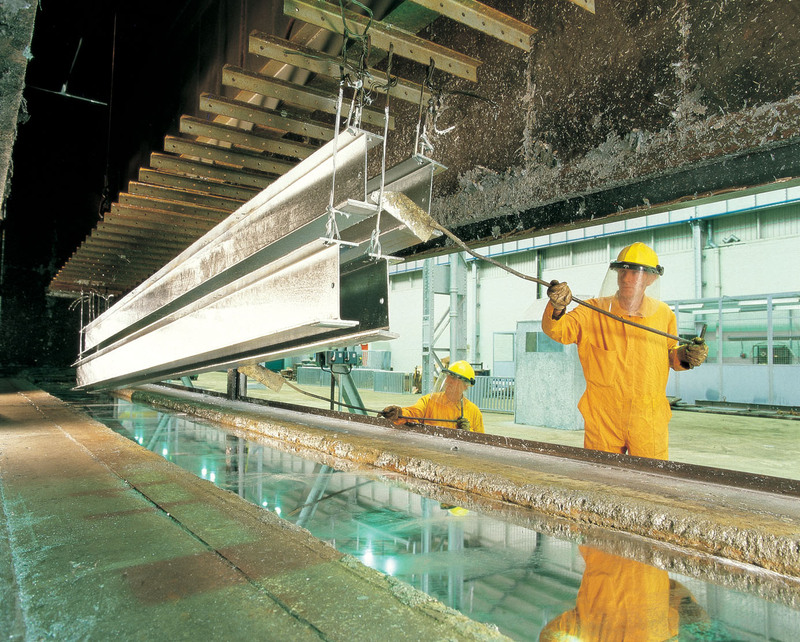 A thicker zinc coating will be obtained if the article to be galvanized is manufactured from a reactive steel. 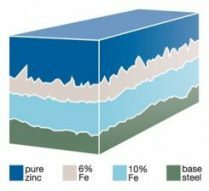 The constituents in steel that have the greatest influence on the iron/zinc reaction are silicon, which is frequently added to steel as a deoxidant during its production, and phosphorous. 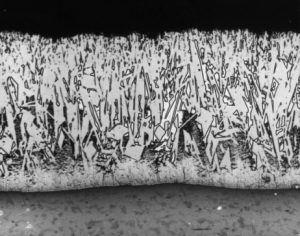 Silicon changes the composition of the zinc-iron alloy layers so that they continue to grow with time and the rate of growth does not slow down as the layer becomes thicker. To a lesser degree, phosphorus exerts a similar influence on the formation of the coating. When an article made from a reactive steel is removed from the zinc bath, a zinc layer adheres to the alloy layer as with any other steel article. 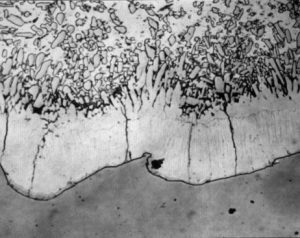 However, the reaction rate in these steels can be so high that this pure zinc layer is transformed completely to zinc-iron alloy before the article has had time to cool. The result is a coating of equal or increased thickness that can be much darker in appearance. The change in appearance does not alter the corrosion resistance of the coating. 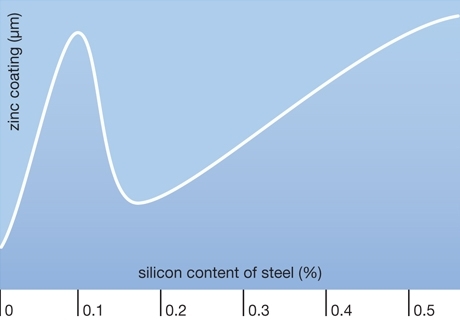 Approximate thickness of the zinc coating in relation to the silicon (Si) content of the steel. (This is a schematic representation, please contact Galvanizers Association for detailed information).